St. Benedict teaches: every thing and every one is holy. and to hold every one in loving hands. Stewardship is the call to keep what is usable, to care for what is vulnerable, to safeguard what is fragile on this planet. It is the call to save the earth for our children. Our society exploits many people, and even the earth itself – but we can learn to care for every thing and every one. In a society that destroys farm workers, discards the middle-aged and forgets the elderly, we can minister to the world by working for justice. What is your next step in stewardship? 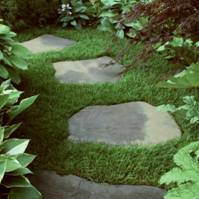 Benedict’s stepping stones still lead the way.